Fujitsu’s Flashwave 4100 family includes both a Micro Packet Optical Networking Platform and a multiservice provisioning platform designed to assist with the management of your Ethernet network. The Fujitsu Flashwave 4100 MSPP delivers support for migrating existing Ethernet services onto an embedded SONET network to support optical access and transport as you converge in your edge. Designed to support your existing investment and minimize the capital you need to flex your network, the Flashwave 4100 MSPP manages networks for a broad set of customer footprints thanks to reliable, smart provisioning capabilities. The Fujitsu Flashwave 4100 ES serves as a micro packet ONP built for TDM and Ethernet service delivery and aggregation over a variety of network deployments. While we offer some Fujitsu Flashwave 4100 large shelf units, others offer a 2RU chassis to help support those pay-as-you-grow deployments that can better protect your expenditure. 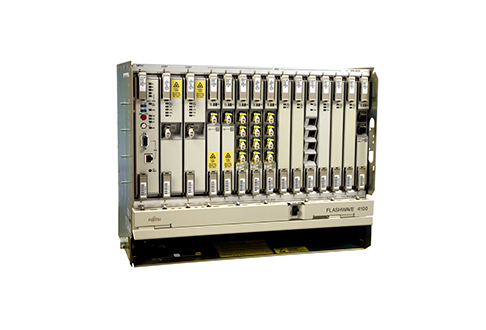 The Fujitsu Flashwave 4100 ES supports the network edge as well as customer premises with a 10G access network element using OC-192 with full-band, tunable optics. It’s also ideal for mobile backhaul with support of provision core rings up to OC-192 and the ability to integrate seamlessly with your existing 2G/3G TDM backhaul networks as well. Choosing a refurbished Fujitsu Flashwave 4100 from Worldwide Supply ensures you’re maximizing spend while delivering the quality your network needs to grow. Capital doesn’t have to be a barrier to delivering performance and reliability that keeps customers satisfied.